Edwin Nesi, DC (Miami) - Book Appointment Online! Our mission is to create an environment that offers a sanctuary from the stress and strains of modern day living. 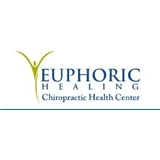 Dr. Nesi and his staff at Euphoric Healing first concern is the patient’s health, happiness, and well-being. Our approach is a holistic and innovative one, treating the entire person, not just their symptoms with the latest in technology. Through this approach, we are better able to assist patients in achieving greater levels of health and wellness. Living by the motto “providing phenomenal health care” and that we are “Healthy by Choice, not by Chance,” Doctors of Euphoric Healing and staff have the passion necessary to assist you in reaching your health goals. The only reason my wait time was this high was because I was a new patient and had to be verified. Other than that, once I was I back there is was worked on immediately! Jeff and Dr. Nesi are amazing! From the front desk on up! Blessings to be in that place! And they love the Lord! ? ?